A recent survey of 271 people published in the International Journal of Drug Policy revealed that 63% of individuals using prescription drugs had discontinued their prescription in favour of cannabis (Lucas & Walsh, 2017). Sixteen percent (~40 people) of these participants opted for marijuana specifically to replace benzodiazepines used to address mental health issues. A larger study published in the Journal of Pain Research found similar results and reported that 1,248 out of 2,774 individuals opted for the same substitution. More specifically, 170 of these participants replaced benzodiazepine use with marijuana use (Corron et al., 2017). These studies do not highlight any causal relationships between benzodiazepine use and cannabis use. In other words, this data is purely correlational and based solely off self-report questionnaires. We cannot say with certainty that cannabis leads to decreased benzodiazepine use. Nonetheless, the data do highlight that a population of benzodiazepines users prefer cannabis over benzodiazepine use. The Canadian Centre on Substance Use and Addiction recently found that more than 1,000,000 Canadians used benzodiazepines without a prescription for the purpose of getting high (CCSA, 2017). Further, more than 3.5 million Canadians (~10%) indicated using a benzodiazepine at least once per year (Brands, Spraule, Marshman, 1998). It is important to note that the previous statistic is technically out-dated, however, there are no better estimates readily available to date. One study conducted in Ontario examined prescription trends in older adults (65+) between 1998 and 2013. They found that indeed benzodiazepine prescribing is declining in this population, although very slowly. As it happens, the effect is quite small, falling from ~11% of all prescriptions to 8% (Davies et al., 2018). Unfortunately, research into this matter is limited. There is very little literature that investigates the effectiveness or underlying mechanism(s) of cannabis in benzodiazepine deprescribing or treating benzodiazepine addiction. As previously alluded to, most of the available data is anecdotal at this point. Nonetheless, we encourage further research into this matter and encourage open-minded research on the benefits and risks of cannabis. As it happens, there is an emerging amount of evidence which suggests that cannabis may be an appropriate replacement for some opioids. This appears to be especially true for those who require opioids to manage chronic pain. Fortunately, it may be a low-risk substitution (Vyas, LeBaron, Gilson, 2018). Despite this, it is important to note that we cannot assume cannabis to be a viable replacement to benzodiazepines based on opioid research. The mechanisms of action of opioids and benzodiazepines are quite dissimilar and affect the brain in different ways. Having said this, more research into the matter of benzodiazepines is necessary, especially given the current anecdotal evidence. We strongly support further research and encourage an open-mind. Prescribed marijuana in pill, or edible, or topical cream form is preferred. Marijuana which is smoked should be done with a vaporizer to minimize odour. We can provide a vaporizer to our residents for that purpose. The use of a vape pen can be accommodated if THC levels are not excessive or medically indicated. Prescribed marijuana can only be smoked in the nurse’s office in the designated area for smoking. This is a separate smoking area which as air vented through an ozoniser and activated charcoal air filters to eliminate marijuana smoke odours. Prescribed marijuana in any form must be delivered to our premise by mail from a licensed producer. As is the case for all medications, marijuana must be kept with the nurse. Any high THC content such as Dabs, Snap, oil, Vape concentrate, etc. must be approved by the clinical director and the doctor as medically indicated. The use of medical marijuana by any patient who has had a psychotic episode in the last 6 months must be approved by the doctor or psychiatrist. 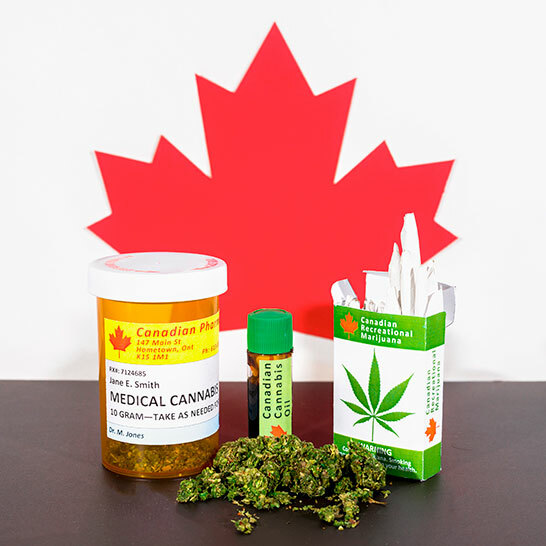 These policies reflect that we recognize that cannabis may be a viable replacement for some prescription drugs, given that the risks associated with daily cannabis use may be lower than daily benzodiazepine or opioid use (Boehnke, Litinas, Clauw, 2016). Further, it applies to those who require medical marijuana to manage pain and/or other comorbidities. If you are a current resident at Sobriety Home and this applies to you, please do not hesitate to speak to your practitioner. Alternatively, we encourage all folks who are considering Sobriety Home to reach out and learn more about our policy and how we can accommodate. Boehnke KF, Litinas E, Clauw DJ. Medical Cannabis Use Is Associated With Decreased Opiate Medication Use in a Retrospective Cross-Sectional Survey of Patients With Chronic Pain. J Pain. 2016 Jun;17(6):739-44. doi: 10.1016/j.jpain.2016.03.002. Epub 2016 Mar 19. PubMed PMID: 27001005. Brands, B., Sproule, B. and Marshman, J. (Eds) (1998). Drugs and Drug Abuse, Toronto, Addiction Research Foundation (ARF). Corroon JM Jr, Mischley LK, Sexton M. Cannabis as a substitute for prescription drugs - a cross-sectional study. J Pain Res. 2017 May 2;10:989-998. doi: 10.2147/JPR.S134330. eCollection 2017. PubMed PMID: 28496355; PubMed Central PMCID: PMC5422566. Lucas P, Walsh Z. Medical cannabis access, use, and substitution for prescription opioids and other substances: A survey of authorized medical cannabis patients. Int J Drug Policy. 2017 Apr;42:30-35. doi: 10.1016/j.drugpo.2017.01.011. Epub 2017 Feb 9. PubMed PMID: 28189912. Vyas MB, LeBaron VT, Gilson AM. The use of cannabis in response to the opioid crisis: A review of the literature. Nurs Outlook. 2018 Jan - Feb;66(1):56-65. doi: 10.1016/j.outlook.2017.08.012. Epub 2017 Sep 21. Review. PubMed PMID: 28993073.